Not to worry, our graphic artists will mock it up and send you a proof! 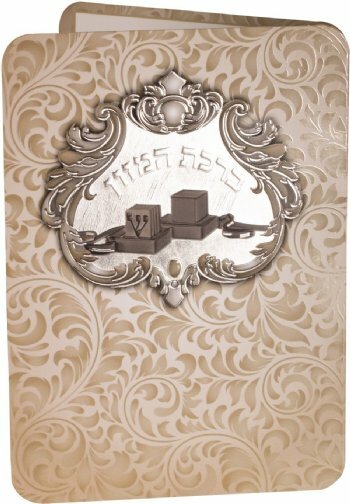 Bencher beautifully designed with Tefilin will give your Bar Mitzvah tables an elegant finishing touch! 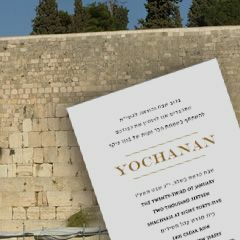 Includes Birchat Hamazon and Al Hamichya. Size: Width: 4.5" Height: 6.25"
There is no preview available for this font. Please enter the text you would like to see here. Our graphic artists will design your invitation with this text and send it over for your approval.